Immigrate to Europe with family. To qualify for the Greek golden visa, you have to satisfy the following criteria. You will receive permanent residence permit (PR) valid for 5 years and then renewable after then. No requirement to live in Greece. The processing time is about 1 month. Applying for a residence permit: 300 Euros plus VAT 24% for every person. The real estate property must be owned by and be in possession of its owners. The residence permit is also granted in cases where the third country citizen is the owner, either directly or through a legal entity, of more than one real estate property with a combined value of at least €250.000. In cases where the applicant wants to enter the country with a type D visa, the documented intention to own property should be supported by documentation which prove the financial capacity (e.g., certificate of an A-class certified bank, or other recognised financial institution), which certify the existence of bank accounts or other mobile assets, such as bonds or shares, which can cover the cost of the investment of at least €250.000, and which certify the intention of the applicant to purchase the property (contract with a law firm or with a real estate office). In order to obtain a residence permit for owners of real estate, an entry Visa is necessary. For this purpose, the third country citizen is required to have been awarded either a Visa type D or a Visa type C (Schengen). 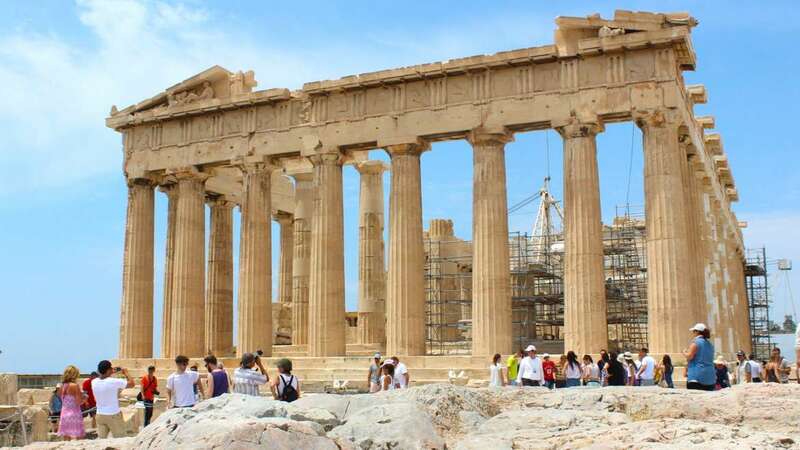 If the foreign citizen needs a long period for research or after the acquisition wishes to stay in Greece for an extended period of time, a type D national visa is more appropriate. In any case, the application for a residence permit must be submitted before the expiration of the visa. The duration of the residence permit is 5 years and it can be renewed for another 5 years each time, provided that the applicant still owns the property. Also, the members of the investor’s family have the potential to request individual residence permits. For this purpose, they must submit separate applications and their own permit expires at the same date that the investor’s permit expires. The submission of the application for the issuance of the residence permit, the submission of additional documentation, the receipt of the residence permit or of a rejection, or any additional documentation from the relevant file, can be done either in person by the third country citizen, or through a proxy. This means that third country citizens who have never entered Greece are not allowed to submit an application for a residence permit via a proxy. The applicant is allowed to enter the country, to assign their representation to a lawyer, either with a proof of authenticity of their signature issued by a police authority or with a notarized power of attorney, and then depart from the country and not be present during the submission of the application for a residence permit and/or the granting of the relevant permit. The authorities receiving the application will issue a confirmation that the application has been submitted, provided that all the necessary documentation has been submitted with the application. This confirmation is valid for one year. The third country citizen, who has submitted an application and received the confirmation receipt described above, can reside legally in the country for the duration of the confirmation receipt. Once the authority of Aliens and Immigration of the Decentralised Authority has verified that the application fulfils all necessary conditions and, in accordance with the decision of the Secretary General of the Decentralised Administration, they will issue a five-year residence permit. has legally entered the country with any type of visa or legally resides in the country, even if the type of residence permit that he possesses, does not permit change of purpose. has personally the full ownership, possession and peaceful enjoyment of real estate property in Greece. In the case of jointly owned property, worth 250,000 euro, the right of residence is granted only if the owners of the property are spouses with indivisible shares in the property. In all other cases of joint ownership, the right of residence is granted only if the joint ownership rate of each joint owner is worth 250,000 euro. has the full ownership, possession and peaceful enjoyment of real estate property in Greece via a legal entity, whose shares are fully owned by him. has concluded an agreement for at least ten years lease of hotel accommodation or furnished tourist residences in tourist accommodation complexes, pursuant to the Article 8 par. 2 of the Law 4002/2011 (Government Gazette 1, no 180). has concluded a time sharing agreement pursuant to the provisions of the Law 1652/1986 “Time sharing agreement and related issues” (Government Gazette 1, no 167), as in force. Investor applying for a residence permit under this program should contribute to the investment with an amount of at least €250,000, available through own funds. In addition, the number of permits for executives allowed for each investment project depends on the amount of the total investor contribution. Finally, the total number of residence permits allowed for an investment project cannot exceed 10 residence permits for investors and executives). 2. On the motion of the Directorate of Foreign Investments of the Ministry of Economy and Development, concerning the characterization of the investment and the feasibility of granting residence permit, the entry and residence of third-country nationals may be permitted in Greece for the implementation and operation of the investment. 3. The application and the required documents, as specified by the Joint Ministerial Decision, referred in paragraph 12 of the Article 136, are submitted to the Greek Consular Authority of the area of residence of the interested persons, which, within one month, forwards them to the Directorate of Foreign Investments of the Ministry of Economy and Development. The competent Consular Authority, in case of delay of forwarding the relevant motion of the Directorate of Foreign Investments of the the Ministry of Economy and Development. 6. The Directorate for Migration Policy of the Ministry of Migration Policy is competent for the examination of the application and the decision on the issue or the renewal of the residence permit for the realization of investment activity. 8. In the residence permit of third-country nationals referred to in paragraph 1 of this Article, it shall be stated “Residence permit for investment activity “and in the” Remarks ” the professional status of the holder shall be referred. II. 1. Up to ten (10) third country nationals, per investment, deemed necessary, are allowed to enter the country if they have been granted, where necessary, visa (Visa D), in order to realize investments, which have been characterized as “Strategic Investments” , pursuant to a decision of the Interministerial Committee of Strategic Investments on inclusion in Law 3894/2010 (Government Gazette 1, no 204). The above visa is issued free of charge, on the procurement of the decision of the Interministerial Committee of Strategic Investments, which characterizes the investment as “Strategic Investment” and the motion of the Secretary-General for Strategic and Private Investments referring to the relation of third country nationals with the entity realizing the strategic investment . After 7 years of living in Greece. You have to pass the Greek language test. We offer full handholding service to our clients from start to finish including property buy/sell service, property rentals, airport pickup when applying for the program.